Erie, PA - Eriez® Vice President of Sales and Marketing Charlie Ingram and Virto/Elcan President Bob Grotto announce that Virto/Elcan has added an Eriez® Electromagnetic Separator to its testing and toll processing line at the company's Tuckahoe, New York facility. "For more than a decade, customers have trusted Virto/Elcan to screen their materials on the world renowned Virto/Elcan ScreenX Multi Frequency Screeners and Minox Tumbler Screeners. 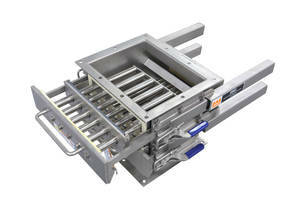 Now, they can benefit from the added separation capabilities the Eriez Electromagnetic Separator brings," says Grotto. Virto/Elcan's extensive testing services give customers the ability to send their most challenging materials to verify the separation performance of the Virto/Elcan and/or Eriez equipment. Ingram explains, "While the Technical Center at Eriez World Headquarters has more than one hundred types of permanent magnetic, electromagnetic, vibratory, screening and electronic metal detecting equipment on-hand for test runs, customers and potential customers can utilize the Virto/Elcan testing services to test the Eriez Electromagnetic Separator's performance in conjunction with Virto/Elcan equipment." In addition to testing and machine sales, Virto/Elcan offers complete toll processing services. This business unit excels with customers that present difficult-to-screen products that cannot be screened efficiently on conventional screeners. Customers can make extended runs of products to insure successful installations or run larger quantities to use as sample lots or boost their production. 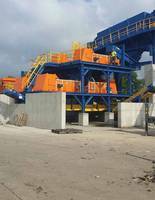 "The addition of the Eriez Electromagnetic Separator to Virto/Elcan's toll processing line can further enhance the separation of even the most challenging materials," says Grotto. "This cooperative effort is a great example of how companies can come together to better serve their mutual customers," says Ingram. Grotto adds, "It's truly a win-win situation. 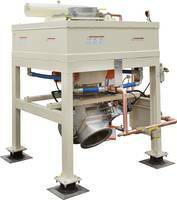 Our customers benefit from the improved testing and separation capabilities both companies can now offer. Plus, through this partnership, Virto/Elcan and Eriez have expanded our service offerings." To contact Virto/Elcan, call 800-AT-ELCAN or visit www.virto-elcan.com. To contact Eriez, call (888) 300-ERIEZ (3743). Eriez is recognized as world authority in advanced technology for magnetic, vibratory, inspection and flotation applications. The company's magnetic lift and separation, metal detection, x-ray, materials feeding, screening, conveying and controlling equipment have application in the process, metalworking, packaging, recycling, mining, aggregate and textile industries. 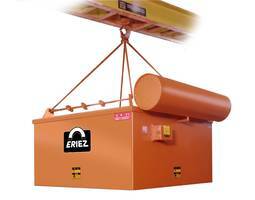 Eriez manufactures and markets these products through 12 international facilities located on six continents. 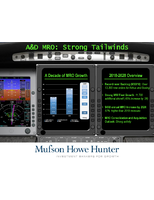 For more information, call toll-free (888) 300-ERIEZ (3743) within the U.S. and Canada. For online users, visit www.eriez.com or send email to eriez@eriez.com. Eriez World Headquarters is located at 2200 Asbury Road, Erie, PA 16506.